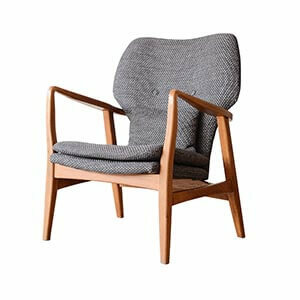 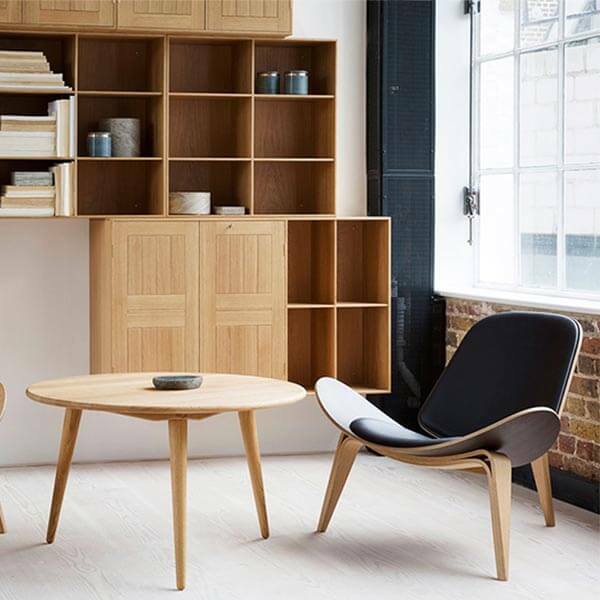 The Shell chair was designed by Hans J. Wegner in 1963. 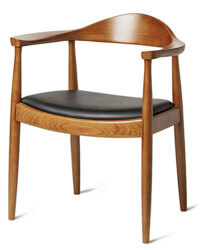 And today the Wegner Shell Chair is one of his representative chairs. 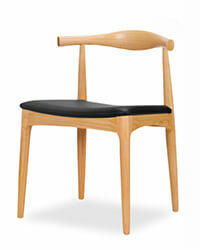 The chair CH07 gets its nickname "Smiling Chair" by its wing-like seat lines, three-legged base and arching curves. 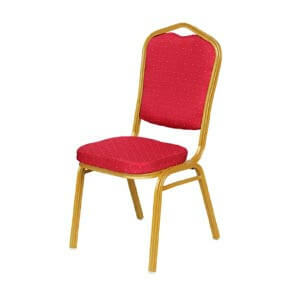 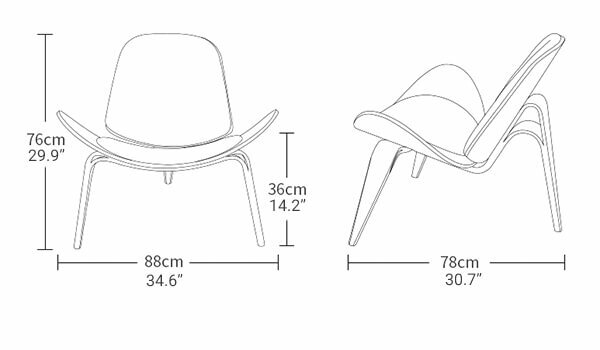 As we know, the CH07 Shell chair win the love of publics nowadays. 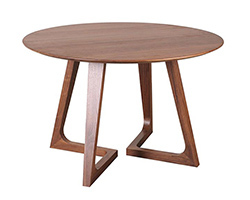 But it didn't attract people's attention for its advanced design at first. 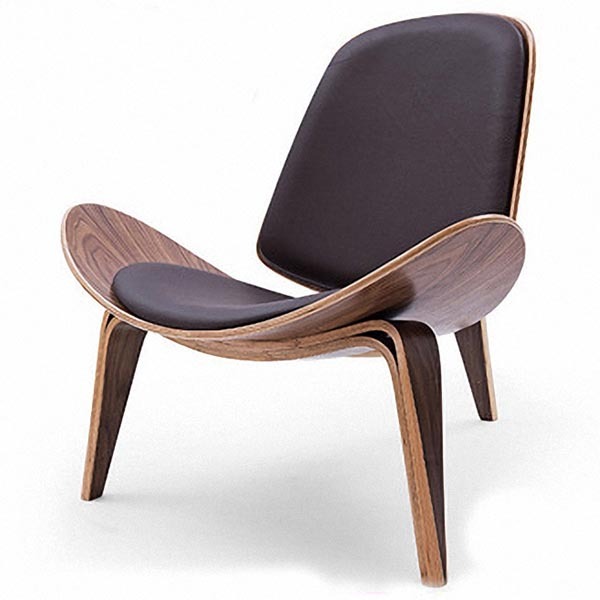 They really got its beauty till early 1990s. 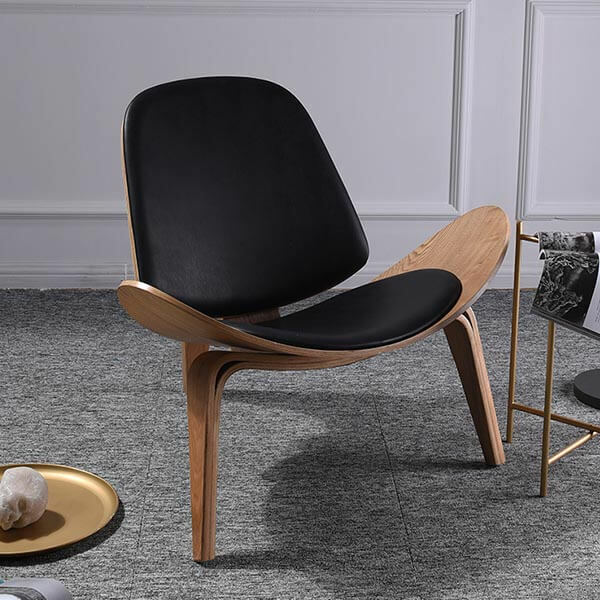 The chair CH07 is an unique and causal chair for living room. 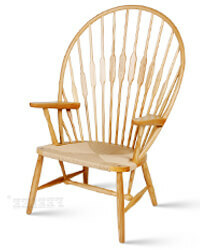 It's a good chair for not only reading a book and newspaper, but also chatting and entertaining with your family and friends. 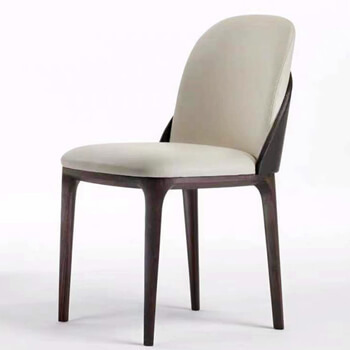 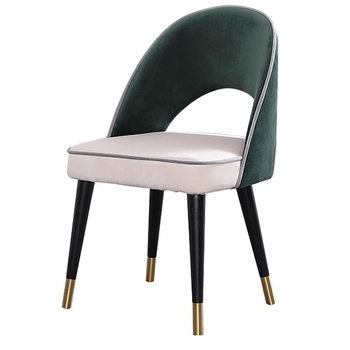 Three-legged Shell Chair price can be made in different materials and finishes. 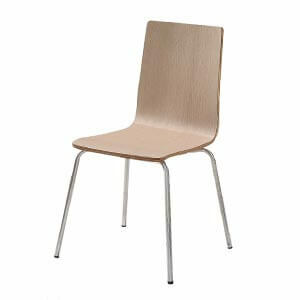 - Frame material: high pressure venner / plywood. 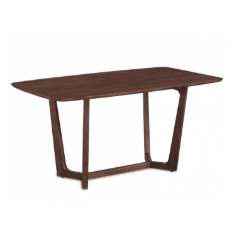 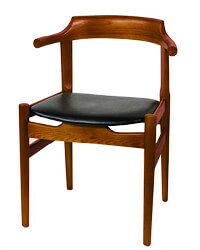 - Colors of frame: black walnut, natural teak or beech color. 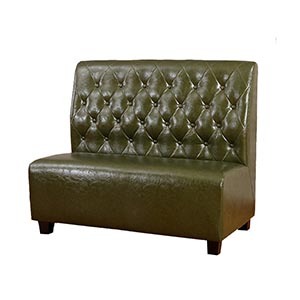 - Shell chair cover cushion: vinyl / PU leatherette cowhide, velvet, fabric. 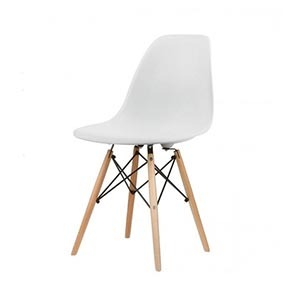 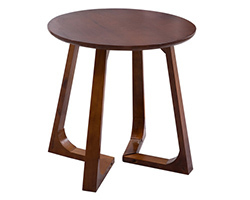 34.6" x 30.7" x 29.9"
Need more information to purchase the shell chair reproduction? 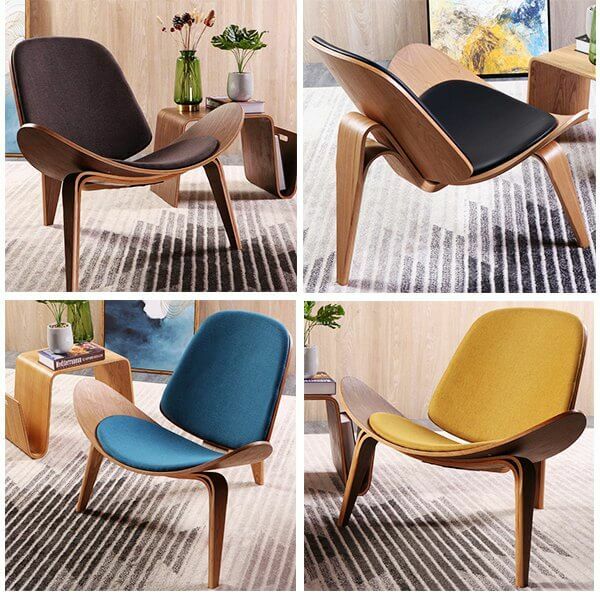 Call Lillian +86-159 8619 2421 or email us. 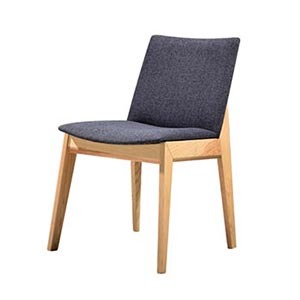 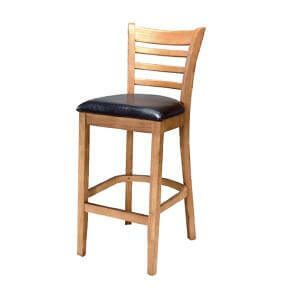 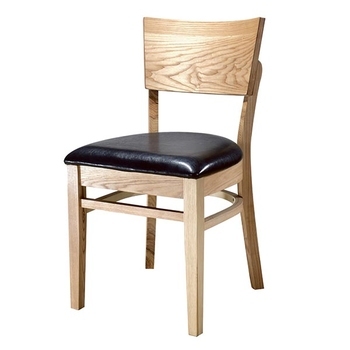 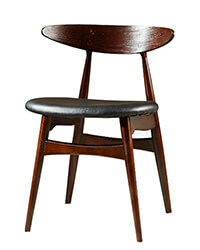 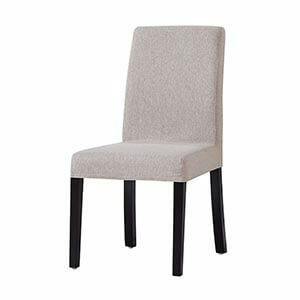 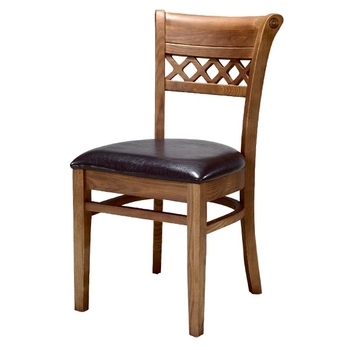 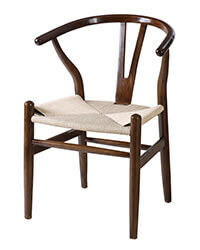 We also manufactures many other danish and modern style of wooden dining chairs. 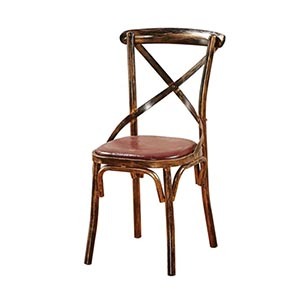 Click for searching. 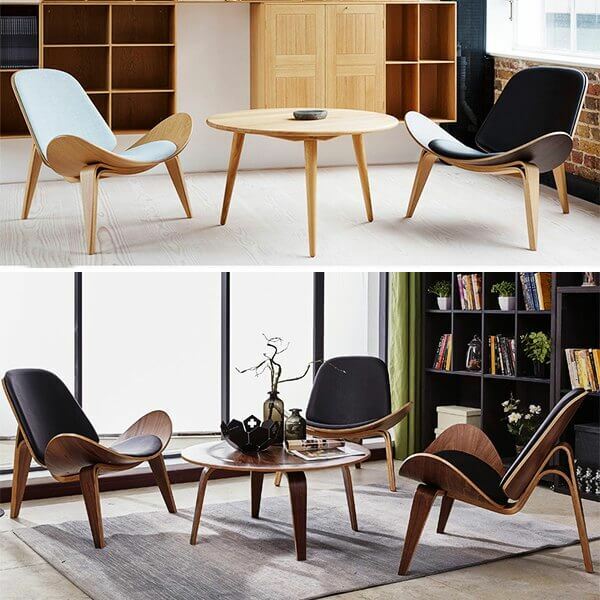 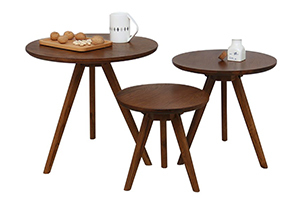 Shell chair is suitable to match with low round side table.